Delaware Workers’ Compensation Benefits – Smile! You Could Be On Candid Camera! Do you remember the person who was caught on camera trying to walk and text at the same time in a shopping mall? Do you remember what happened to her? She walked right into a fountain because she wasn’t looking at where she was going. How embarrassing! The goal of this article is to save you from being embarrassed like that poor girl was. Or, at the very least, to give you fair warning that cameras are everywhere – so watch your step! For those who are involved in a workers’ compensation claim, you are at a higher risk than the average person for having your most embarrassing moments caught on videotape or in pictures. This is just one way that insurance companies will try to attack your claim. A common insurance company “trick of the trade” is to have you followed by an investigator. The investigator will watch you go on about your daily activities, but if they see you doing anything that is more strenuous than what your doctors tell you that you may do (called “restrictions”), then they will videotape you doing those activities. The video will then be used against you to show that either you’re not as injured as you claim to be or that you are not following your doctor’s orders. Another situation where videotape is used in workers’ compensation claims happens when you either give testimony to the Industrial Accident Board, or discuss with your doctors about specific activities that you can no longer do. It is imperative (and should go without saying) but if you have participated in a specific activity, then do not give false statements to anyone involved in your claim indicating that you cannot do that activity as a result of your work injury. I guarantee that the insurance company will find out about it, and will make you eat your words. In addition to hiring an investigator to videotape or photograph you, the internet has given the insurance industry a cheap and easy way to dig up dirt on you to try and tarnish your claim. Online social networking has become an integral part of our lifestyle. It helps us update our family and friends on the happenings of our day to day lives, but it also gives insurance companies insight into our comings and goings. Anything that you post online is fair game for the rest of the world to see. You should also be aware that your friends and family members can post something harmful to you online, and then attach it to you via a link. Therefore, it is imperative that you be extremely careful when using any social internet services. I always tell my clients that if it’s not something that they’d be comfortable with the whole world seeing, then keep it off the internet. If you do have questions about whether an internet posting could be harmful to your case, please contact our office for a consultation to discuss this. A consultation with a lawyer who specializes in this area will be able to give you insight as to whether the workers’ compensation insurance company has any pictures or videotapes of you, or whether an internet posting could damage your claim. All of the lawyers in my firm, including myself, offer consultations for work injuries. The consultations are free, and the insight into your claim could be invaluable to your future health and benefits. 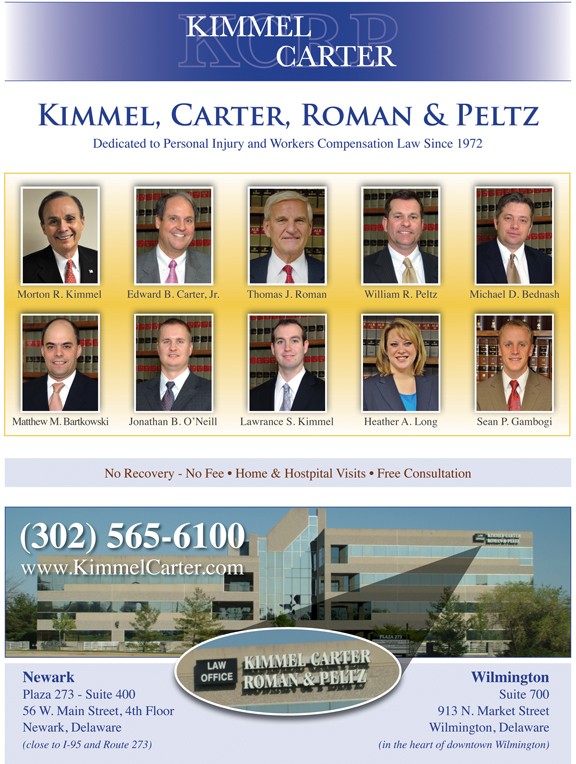 Heather has been an attorney for over five years, and is currently practicing workers’ compensation and personal injury law at Kimmel, Carter, Roman & Peltz, P.A. with offices in Newark and Wilmington. Heather worked her way through law school as a paralegal in a personal injury firm. After passing the bar exam, she spent several years working as a defense attorney, representing local, regional and national companies. With the knowledge gained of the inner-workings of these companies, she now represents injured workers and personal injury plaintiffs. 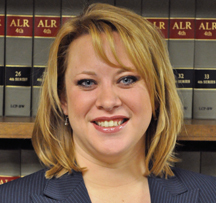 Heather is a graduate of Widener University School of Law, and the University of Nebraska- Lincoln. Prior to attending law school, she was licensed as a paramedic and spent time volunteering for her local ambulance corps. She is also active as a coach and judge for the Delaware High School Mock Trial Competition. Heather is licensed to practice law in: Delaware, Pennsylvania, New Jersey, and the U.S. Virgin Islands. (302) 565-6100 or e-mail her directly at HLong@kcrlaw.com. “You’ve done good work on both of my cases, so I knew my daughter would be in good hands with you.” ~ B.B. “Thank you for getting the extra money for my settlement. I know you worked hard for me.” ~ M.M. “Thank you for making sure that my medical bills got paid.” ~ T.J.